Some Fed branches have told members not to volunteer for G8 event in Northern Ireland until welfare issues are worked out at national level. Officers have been warned not to volunteer for mutual aid provision in Northern Ireland – until assurances have been given regarding welfare issues. West Midlands Police Federation and North Yorkshire Police Federation have told their members not to volunteer “until risks have been indemnified” for the G8 Summit on June 17 and 18. Other Fed branches have also told members to be aware of all the circumstances, including the enhanced dangers of policing in the province, before they make a decision to volunteer. Up to 4,000 officers from England and Wales and Scotland are set to make the journey to Northern Ireland later this year to support PSNI colleagues. However, the terrorist threat remains severe in the country and officers on the mainland are not routinely armed like their Northern Ireland colleagues. 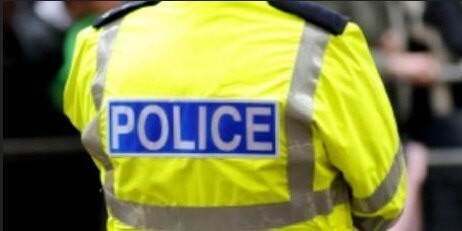 The Police Federation of England and Wales meanwhile has said it is yet “to see any risk assessment” that takes into account the greater challenges faced by PSNI officers compared to colleagues in England, Wales and Scotland. PoliceOracle.com has been told that the PSNI’s own health and safety branch should carry out a risk assessment closer to the date of the G8 –but it is understood that a separate assessment on the mainland could also be conducted, perhaps with the involvement of ACPO. However, the Federation of England and Wales has said individual forces still have a duty of care to provide assurances over welfare – and members themselves should seek to clarify details locally before committing to deployment. But it has stopped short of encouraging members not to sign up to policing the G8 at this stage. Chairman of West Midlands Police Federation Ian Edwards said he accepted colleagues would travel to Northern Ireland eventually but assurances over safety and welfare still needed to be worked out. Mr Edwards said the force’s Resource Management Unit had already issued requests to LPUs with quotas of PCs and sergeants needed for mutual aid. Under section 98 of the Police Act 1996, the chief constable of a force requiring cross-border mutual aid should make an individual request to each force they require extra officers from. This can then be granted by the chief constable from the responding force – but it is not a delegated decision. The Home Secretary, however, can choose to direct any chief constable to provide cross-border mutual aid if it is in the interests of public safety – or “satisfactory arrangements” cannot be made in time for an event. Arrangements with the PSNI are still at a voluntary stage, the Police Federation of England and Wales has said. But Chairman of the West Yorkshire branch, Simon Gelder, said he had written to his force’s temporary chief constable, John Parkinson, to see whether such a request from the PSNI had yet been received. He believes around 100 to 160 officers from West Yorkshire will be sent to the province. In a letter to Fed branches, Chairman of the Police Federation of England and Wales Steve Williams said a risk assessment was required in relation to the nationalist and loyalist threats likely to face officers. He also said the assessment should detail the different procedures, personal protection equipment and training given to PSNI colleagues. See – Any Volunteers for Mutual Aid To Northern Ireland…?